"Discover The Secrets To Changing Your Life 360 Degrees"
Do you feel something stopping you from doing the things you love? Do you feel as if you just can’t give 100% to your work anymore? Do you find it impossible to wake up motivated and get out of bed every day looking forward to getting things done? Do you find yourself dragging your body out of bed, and your mind out of stupor? Is your business or career starting to suffer? Are your personal relationships starting to flag? You need to turn your life around, my friend, and now, you can! But to start changing your life, you need to set your goals first. What would you like to become? What specific aspect in life should you address in order to make that dramatic transformation for the better? As you choose your ultimate goal, do you still have doubts about your ability to realize it? If so, you need to get to the bottom of it all and discover where those doubts come from. So Are You Reading To Change Your Life? Everyone has fears, but you need to take it on if you want to leave the old you behind and move on to the new you. What is pulling you behind from transforming into the person that you want to become? One of the most important steps towards changing yourself is to know what motivates you. Once you discover what drives you, you can use it to jumpstart everything that you need to do for a total transformation. In most cases though, people often choose to abandon their lofty dream and downgrade it to something that is easier to realize. However, settling for something less may not give you that sense of fulfillment knowing that it isn’t your genuine dream in the first place. Luckily, you don't have to go through all that. I've written a special guide that will allow you to take your life to the next level and put your dreams within reaching distance! 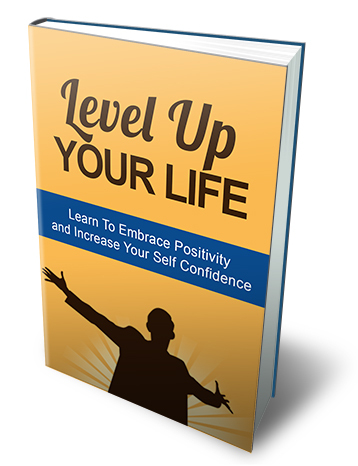 You can own Level Up Your Life today for a mere $7.00. Again, you will receive the comprehensive and valuable insights you need to become successful for only $7.00. Take Action Now! Take ownership of this valuable eBook TODAY! You will get a PDF (404KB) file.